Washington,US: Russia's ambassador to Washington was overheard by US spy agencies telling his bosses that he had discussed campaign-related matters, including issues important to Moscow, with Jeff Sessions during the 2016 presidential race, the Washington Post reports, citing current and former US officials. A US official confirmed to Reuters that ambassador Sergei Kislyak's accounts of two conversations with Sessions, then a US senator and key foreign policy adviser to Republican candidate Donald Trump, were intercepted by US intelligence agencies. The official, who spoke on condition of anonymity, said there was nothing automatically inappropriate about Sessions, then a US senator as well as a Trump supporter, discussing policy matters or even Trump's thinking about them with a foreign diplomat. "The question is whether he crossed the line and discussed classified information or talked about deals like lifting sanctions if the Russians were interested in investing in the US or had dirt on (Democratic presidential candidate Hillary) Clinton," a second official said. "His memory is another matter. "Sessions at first failed to disclose his contacts with Kislyak and then said the meetings were not about the Trump campaign. As attorney-general, he recused himself in March from matters connected to an investigation by the FBI into Russian meddling in the 2016 election and any connections to the Trump campaign following his admission he had talked to the Russian envoy. 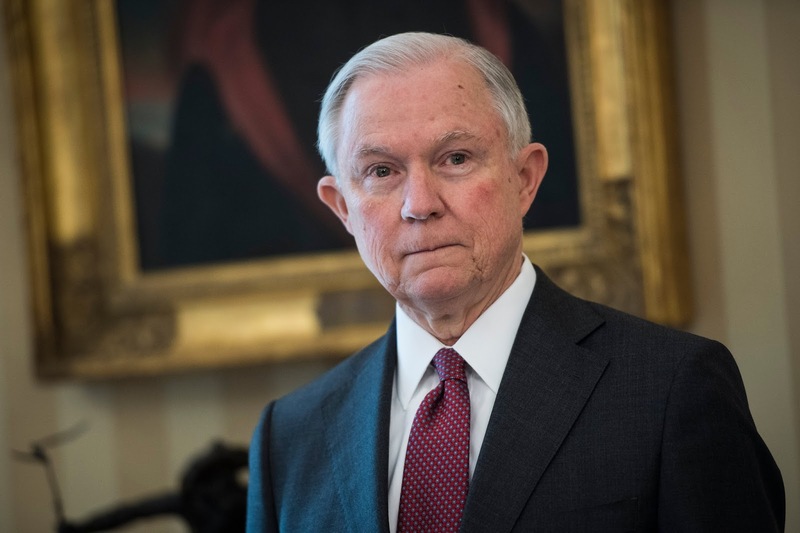 Sessions has denied discussing campaign issues with Russian officials and has said he only met Kislyak in his role of US senator.The Post cited one US official as saying Sessions provided "misleading" statements that were "contradicted by other evidence". The newspaper reported a former official said the intelligence indicated Sessions and Kislyak had "substantive" discussions on matters including Trump's positions on Russia-related issues and prospects for US-Russia relations in a Trump administration. The Washington Post cited a Justice Department spokeswoman, Sarah Isgur Flores, as saying: "Obviously I cannot comment on the reliability of what anonymous sources describe in a wholly uncorroborated intelligence intercept that the Washington Post has not seen and that has not been provided to me. "The Post said Sessions did not discuss interference in the election.